St Kilda is an inner suburb (neighbourhood) of the metropolitan area of Melbourne, Victoria, Australia, 6 km south-east of Melbourne's Central Business District. Explore St Kilda's surroundings by going to Cowes (Koala Conservation Centre, A Maze'N Things, & more), The Great Ocean Road (in Torquay) and Geelong (The Food Purveyor & Eastern Beach Reserve). Spend the 13th (Thu) exploring nature at Point Nepean National Park. 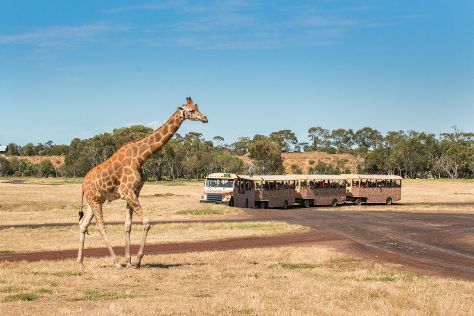 There's much more to do: admire nature's wide array of creatures at Werribee Open Range Zoo, contemplate the long history of Sovereign Hill, tour the pleasant surroundings at Brighton Beach, and examine the collection at Scienceworks. For traveler tips, other places to visit, where to stay, and other tourist information, use the St Kilda trip itinerary maker website . If you are flying in from Malaysia, the closest major airport is Melbourne International Airport. Expect a daytime high around 16°C in June, and nighttime lows around 7°C. Wrap up your sightseeing on the 13th (Thu) to allow time to travel back home.